Meerut Cantonment was originally established in the year 1803 by the British East India Company. It is the second largest cantonment of the country with respect to area and population. Meerut is connected with major cities of India by rail. The city has four railway stations including Meerut Cantt, Meerut City, Partapur, and Pabli Khas. The Meerut Cantt station was founded in the year 1865. It serves as a secondary railway station. 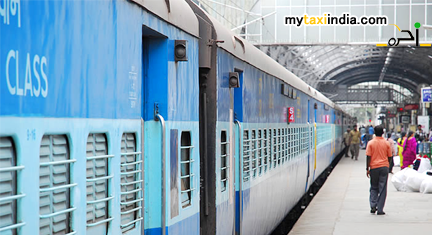 More than 20,000 passengers travel daily to the capital city of India, Delhi and back. Interestingly, 27 pairs of trains run between the capital city and Meerut. Meerut is a city that has witnessed the magnificence, royal conflicts and princely anecdotes of those from the era of Pandavas and Kauravas. No wonder Meerut is also known as the city of Pandavas and Kauravas. There are many places of tourist interest within the district. Baba Augharh Nath Temple (Kali Paitan Mandir) is one of the most popular travel sites situated in Meerut Cantt. The temple is devoted to Lord Shiva. It is said that the spark of the first war of Indian independence in 1857 first fell and then sparked from here. Shahid Smark and Government Freedom Struggle Museum in Meerut is devoted to Martyrs of India. It is related to the first war for Indian freedom in the year 1857. The museum is situated on Delhi road. It houses amazing collects, documents, preserves, and exhibit cultural property of magnificent past. St. John Church and Cemetery was built during the Colonial British period. It is certainly a masterpiece of architect. The cemetery holds graves of the British and their families killed during 1857. Mausoleum of Shahpir (Shahpir Ka Makbara) is a holly structure made of redstone near 17th century A.D. Widely known as Makbara (Mausoleum) of Sufi Sant Shahapir, many thousands of devotees visit this place in large number round the year and during holly ceremony (Urs). Gandhi Bagh is presently run and maintained by Cantonment Board. People love to visit this place for its lush and green ambience with diverse collection of vegetation in its premises. Suraj Kund Park is known for its lush and green ambience and a huge range of flora in its premises. Victoria Park is a site of huge importance in Indian history. The place is closely associated to first war for freedom of India in the year 1857. This was the place where 85 soldiers were kept under imprisonment as a punishment on refusing to use disputed cartridges. On 10th of May, the 3rd native cavalry soldiers broke open the prison doors and released 85 jailed soldiers who attacked the British settlement and killed many British nationals to march off to Delhi (Dilli Challo) as freedom fighters. Booking a taxi at Meerut Cantonment is the best way to enjoy a fun-filled hassle free tour. If you have already planned to visit Meerut Cantonment, we at My Taxi India are here to help you enjoy the most comfortable and pleasant journey. Our state of the art facilities to tourists at competitive prices have won us a huge happy clientele. For booking a taxi with us, simply visit our online portal. Here, you would get detailed information on booking, the type of cars offered and guidance on making your trip to Meerut Cantonment a safe and fun filled experience. Book a taxi with us today to experience the difference!